Commissioned for Trio Lyra by the Kosower family in honour of the 80th birthday of their mother, Goldie. 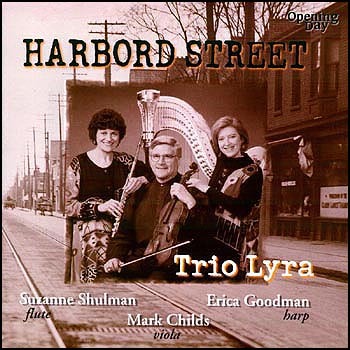 Commissioned for Trio Lyra by Larry Paikin and Donald Rosenthal to honour their wives Marnie and Carolyn. Commissioned by Trio Lyra with the assistance of the Ontario Arts Council. Commissioned by Trio Lyra with the assistance of the Laidlaw Foundation.